The time had finally come. I left work before lunchtime on Friday and started my drive west to California. 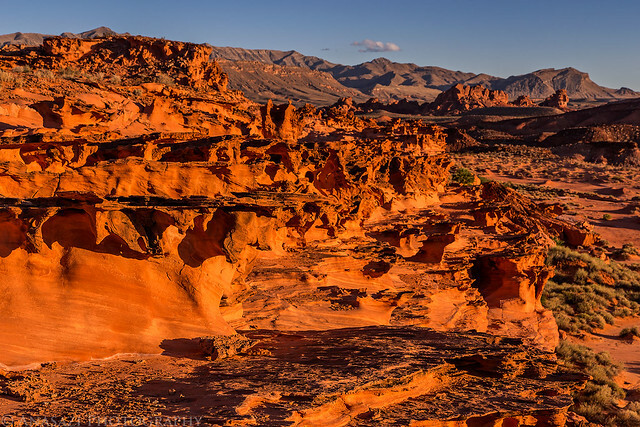 I wanted to break up the drive into two days, so I planned to camp in Nevada near the Devil’s Fire in the Gold Butte area south of Mesquite. 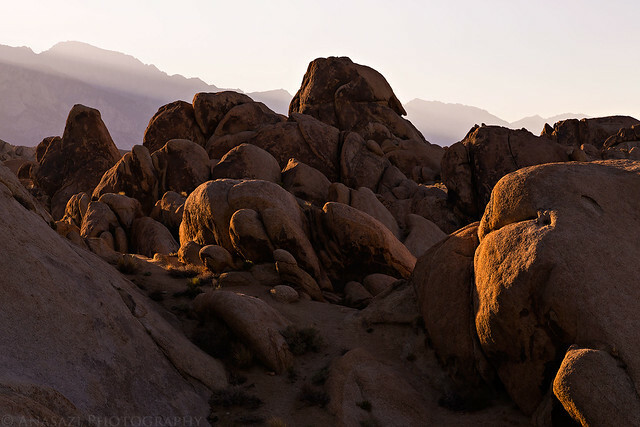 After stopping to search for a new petroglyph panel on the way, I made it to Devil’s Fire just before sunset. 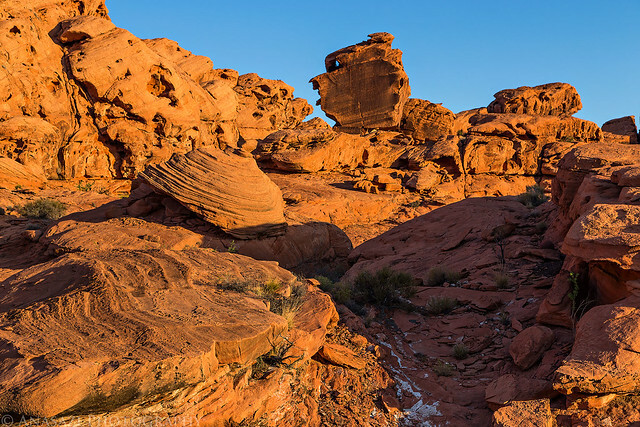 There were signs of recent flash flooding all along the Gold Butte Road with sand and rock covering the road where washes crossed. Even Mud Wash seemed to have flooded recently and it was a bit rougher than the last time I was here. There was only one other set of tire tracks in the wash since the last flood, so I knew that I would probably have the place to myself. I didn’t have much daylight left by the time I reached Devil’s Fire, so I grabbed my camera and took a few quick shots before the sun was down below the horizon for the night. 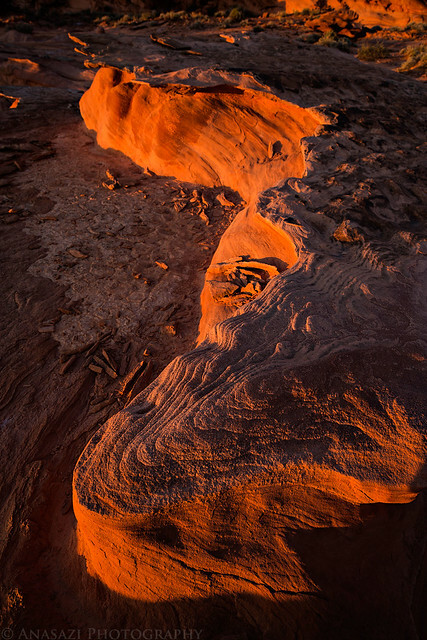 I camped just below the ledge containing the sandstone fins and did have the entire place to myself. The temperature was a little warm at first but it became pretty comfortable after the sun had been down for a little while, though I never did need to use a sleeping bag that night. Driving through Mud Wash on my way to the Devil’s Fire. 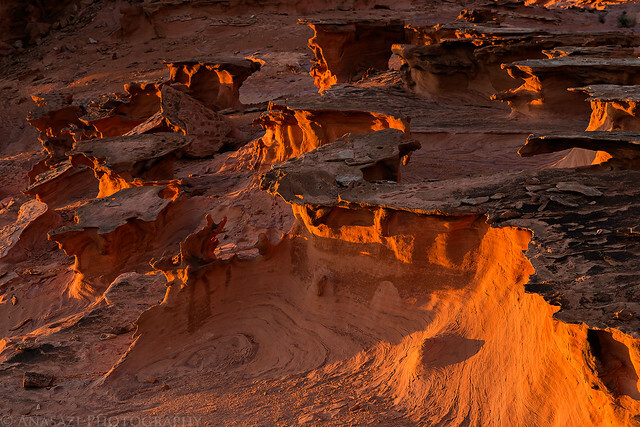 NIce reflected light in a small side canyon while searching for petroglyphs. One of the petroglyph panels I found this evening. 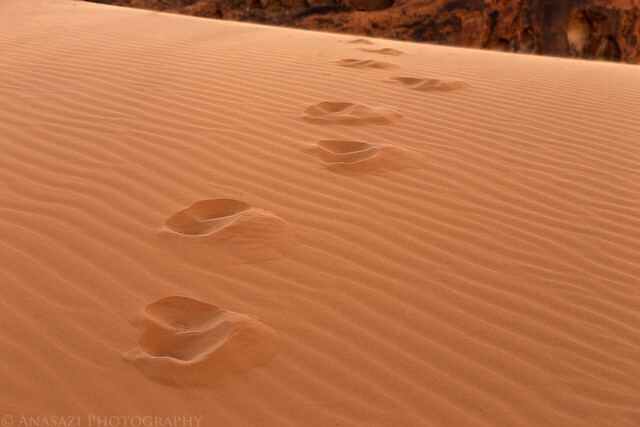 My footprints from hiking across rippled sand dunes. 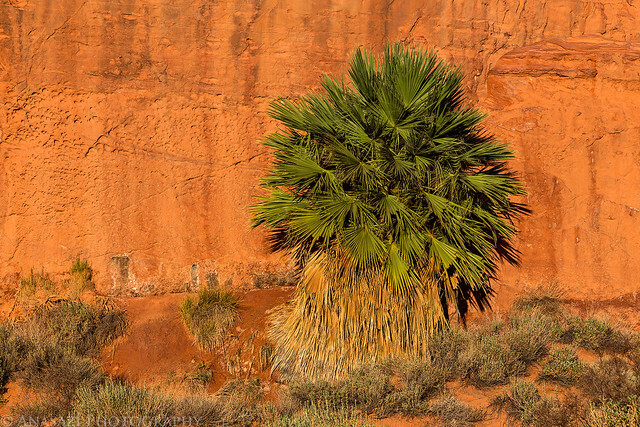 Palm tree growing next to the cliff below Devil’s Fire. 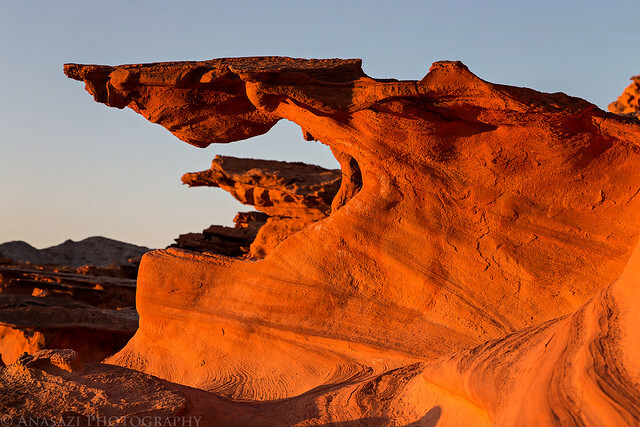 Sunset light on the fragile fins of sandstone found here. 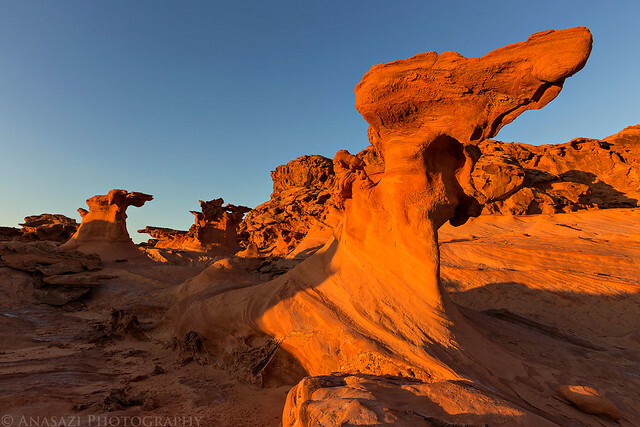 I like the way the light was catching the side of these unusual formations. 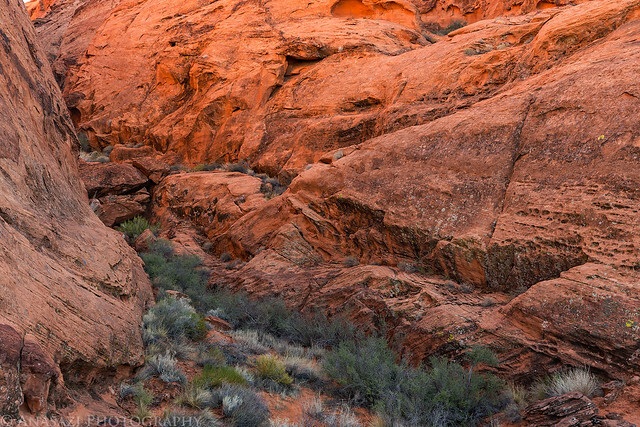 On Saturday morning I woke up before sunrise and went to find some more petroglyphs near Kirk’s Grotto. It was a short drive from my camp and turned out to be a very cool area to explore. I wasn’t sure what to expect when I started hiking and I ended up wishing that I had brought my tripod along because it was pretty dark in the grotto. I guess I will have to return again when I have more time. Morning light strikes the hills around me as I drive to Kirk’s Grotto. 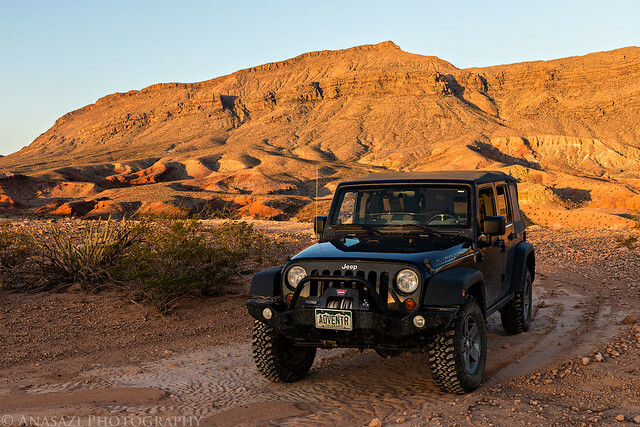 Out for a nice drive in the desert. Since I wasn’t sure what I was looking for, I missed the hidden entrance to the grotto and ended up on top, where I figured out my error. Still, it was pretty nice up here. There were some cool petroglyphs hidden in the passage. Hiking back out of this interesting area. There were a few panels of petroglyphs near the entrance. 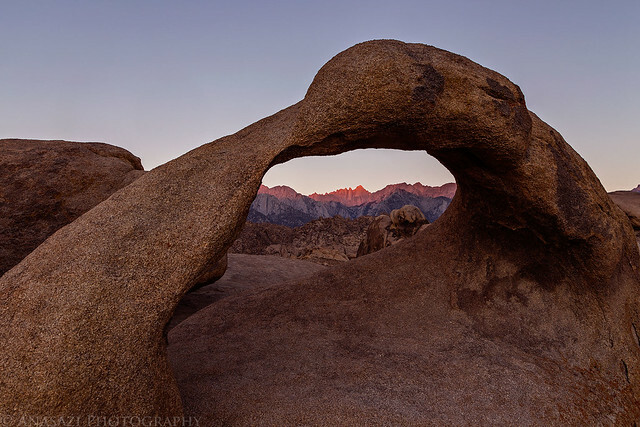 When I was done exploring Kirk’s Grotto it was time to finish up my drive to Lone Pine so I could pick up the permits before the Visitor’s Center closed at 5:00pm. I drove back to the interstate and made my way to Las Vegas where I had an early lunch. 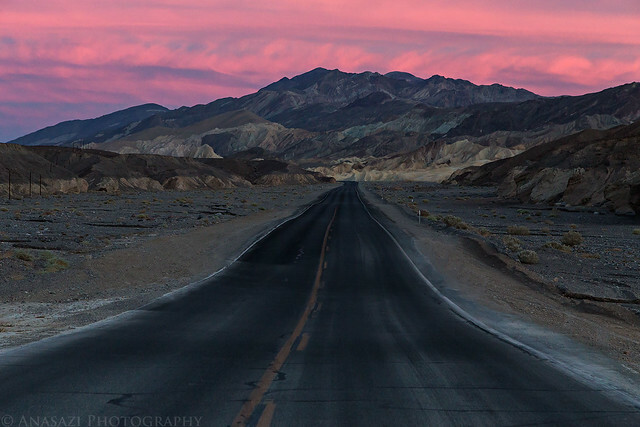 Then I continued my drive through Death Valley. 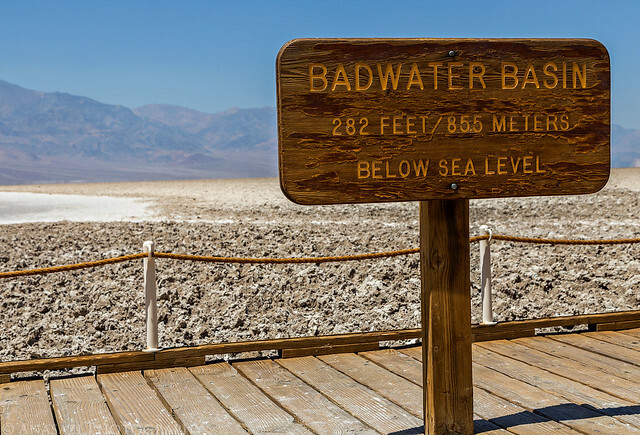 From Badwater Basin I finished the drive to Lone Pine and picked up the permits with plenty of time to spare. 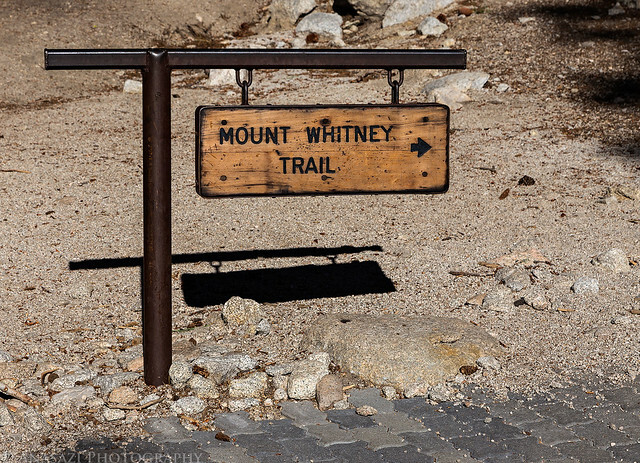 Then I drove up to the Whitney Portal Campground where I met Geoff at the campsite he had reserved back when he got the original permits. 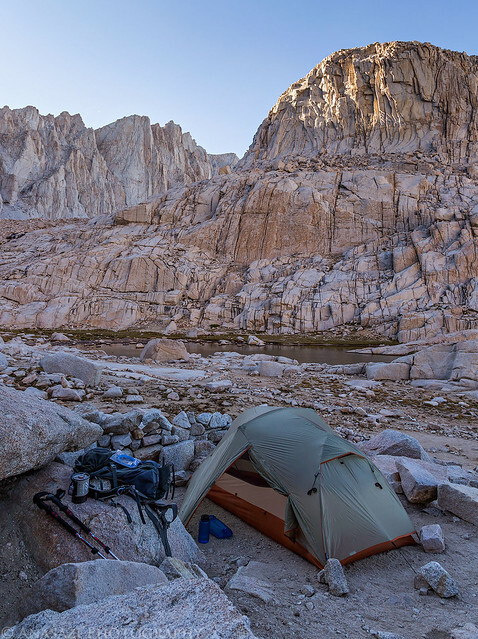 It certainly wasn’t the typical place that I usually like to camp, but it was close to the trailhead and over 8,000 feet, so it would have to do. 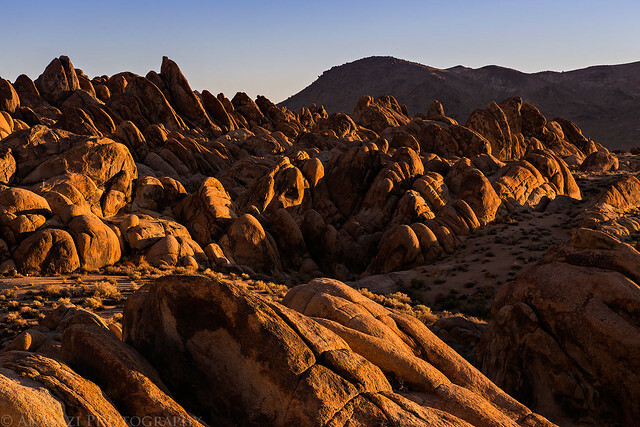 After quickly setting up camp we headed down to Lone Pine for some dinner and then made a quick stop in the Alabama Hills to catch the sunset. 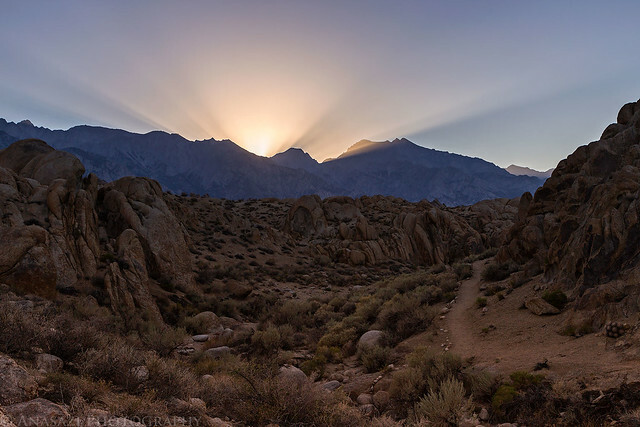 The sun ready to drop below the Sierra Nevada from the Alabama Hills with Mount Whitney in the middle. 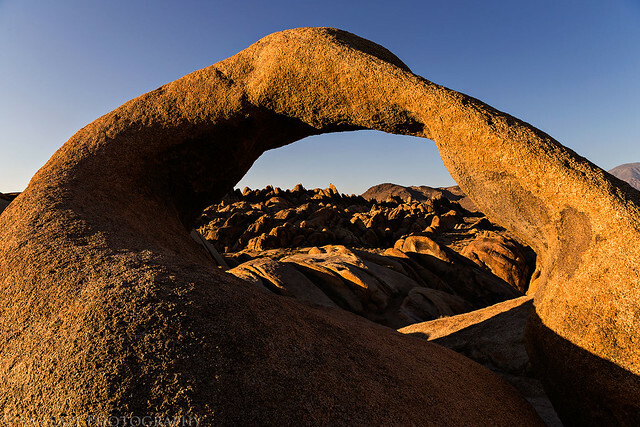 We hiked the short Arch Trail so I could find Mobius Arch. I caught Geoff walking in front of the arch on the other side. 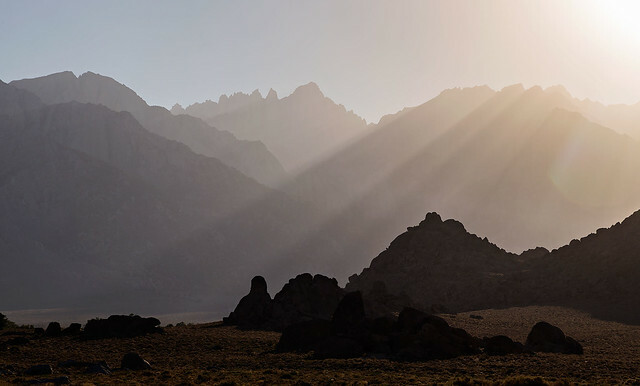 Sun rays over the Sierras as we hiked back to the Jeep. Sunday morning I woke up early to catch sunrise from Mobius Arch, but left Geoff sleeping in camp since he’s not much of an early riser like me. 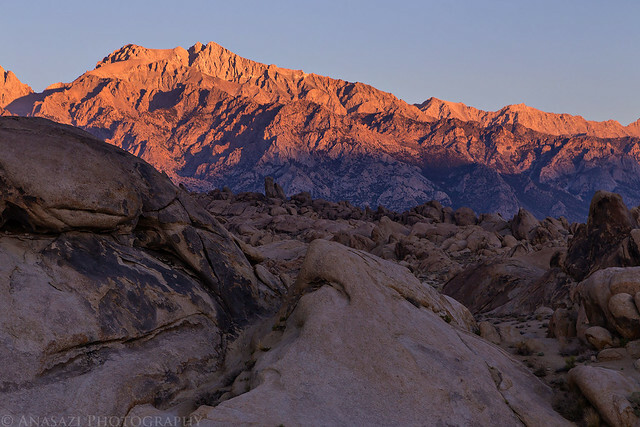 I figured it might be nice to get some sunrise shots of Mount Whitney before climbing to it’s summit. I wasn’t sure how popular this location would be for sunrise and found that I was the only one there when I arrive about 45 minutes before sunrise. Before the sun came up only two other photographers showed up, so it wasn’t too crowded. 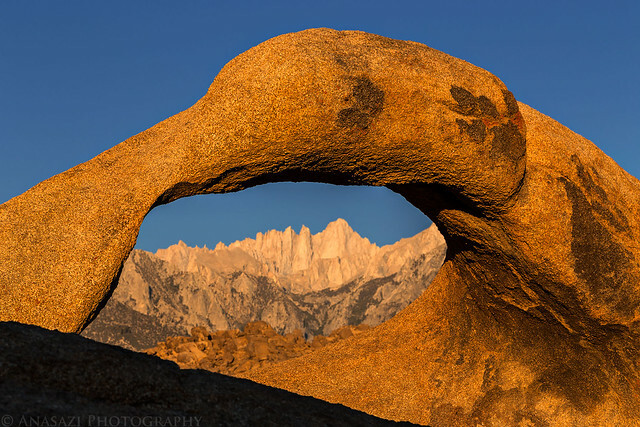 Alpenglow on Mount Whitney framed by Mobius Arch. 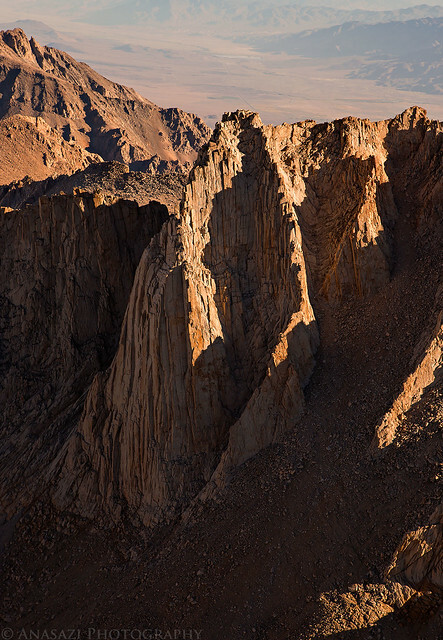 Nice early morning light on Mount Whitney above. 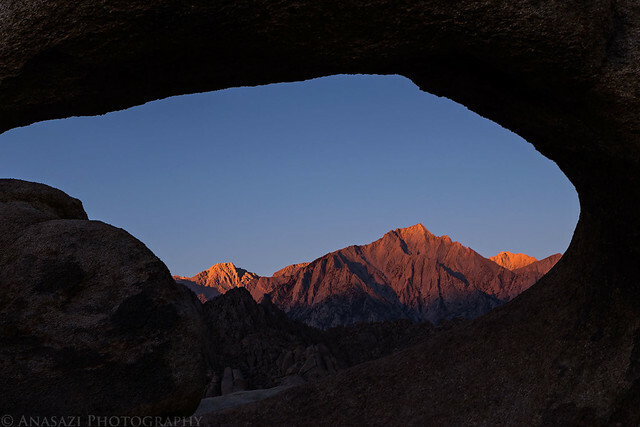 Sunrise over the Alabama Hills. I stuck around until light struck the arch. After hiking back to my Jeep I drove back up to the campground to meet up with Geoff again so we could get ready to start our ascent. 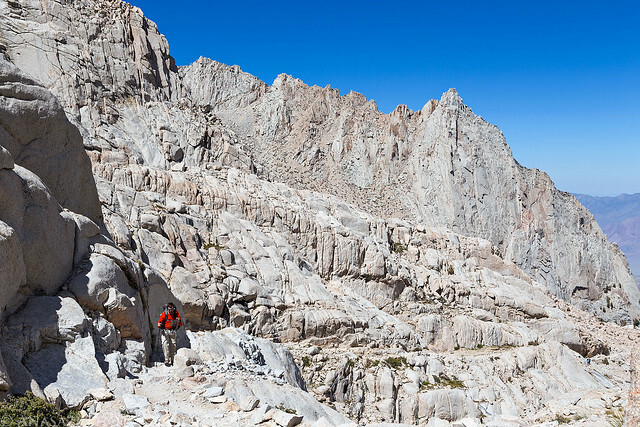 We packed up camp and double-checked our backpacks before finding a parking spot near the trailhead and having a big breakfast from the Whitney Portal Store. Not only was the breakfast really good, but the portions were huge and reasonably priced. With our stomachs full we set off to start the hike. Ready to start the hike. 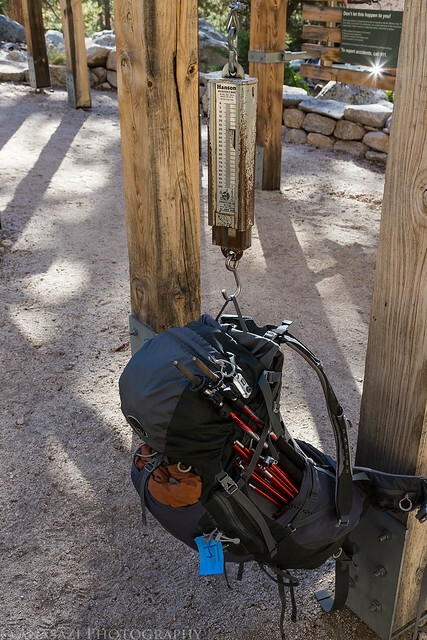 Since they had a scale I figured I might as well weigh my pack before we begin. I was pretty sure my pack weighed in around 30lbs. Turns out it was 29lbs, slightly lighter than I thought. If I remember correctly, I believe that Geoff’s pack weighed in at about 37lbs. 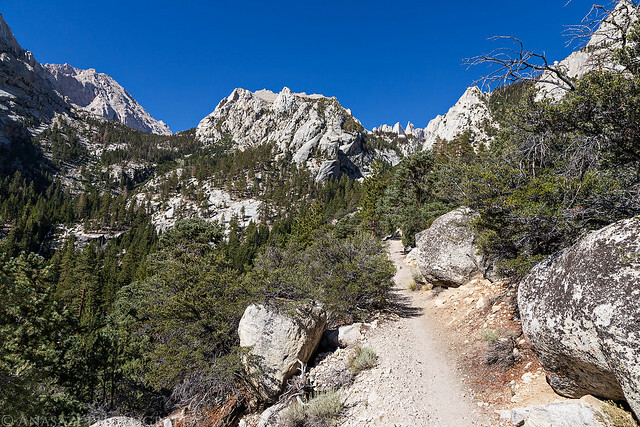 An early portion of the trail as it climbed above the Whitney Portal. 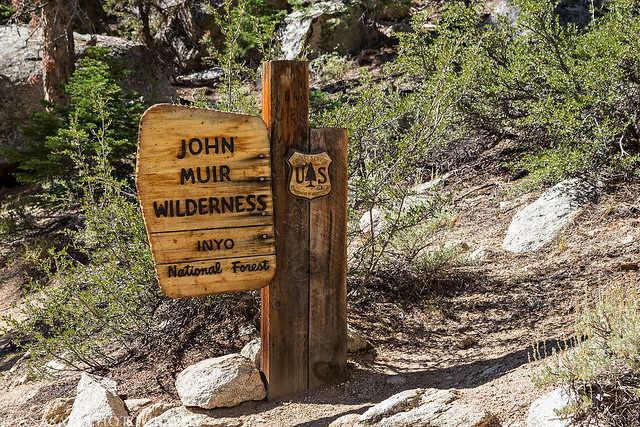 Entering the John Muir Wilderness. 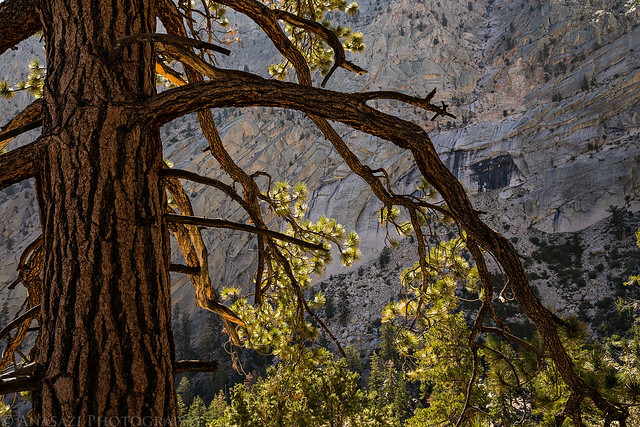 As we climbed the trail, I noticed the backlit trees contrasted nicely with the shaded granite in the background. 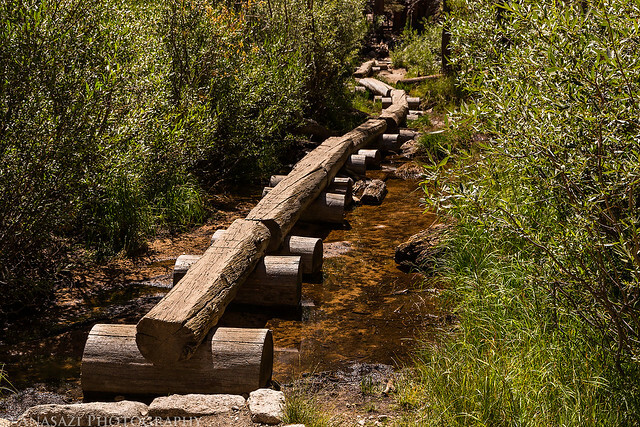 A log bridge we had to cross shortly before Lone Pine Lake. 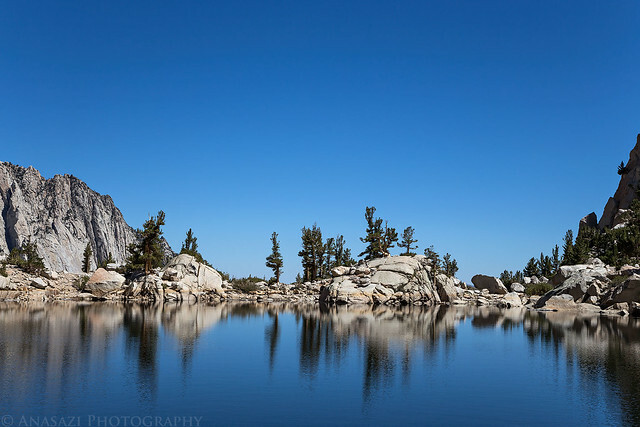 Since we weren’t in a hurry to make it up to camp we took the short spur and visited Lone Pine Lake. 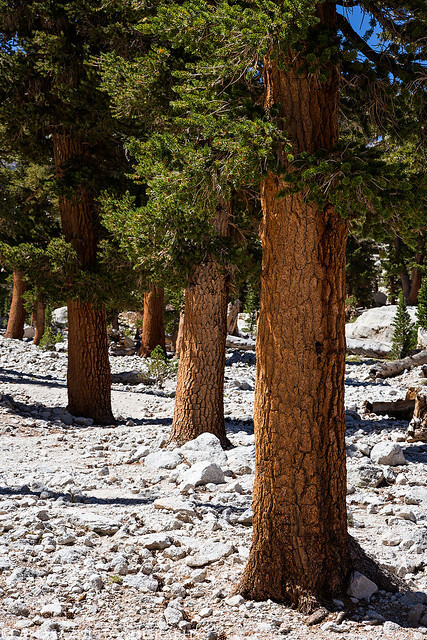 Trees near Lone Pine Lake. I liked the contrast of the dark bark against the white rock. 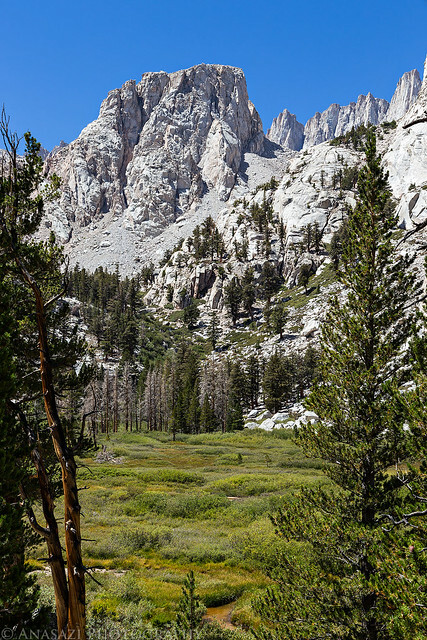 Shortly after leaving Lone Pine Lake we entered The Whitney Zone. Soon we found ourselves entering Bighorn Park. 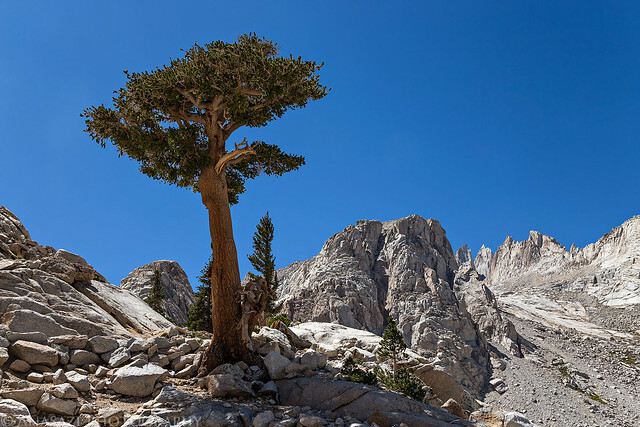 The last large tree we would pass before getting above treeline. Looking down on Mirror Lake with Thor Peak (12,306 feet) above. 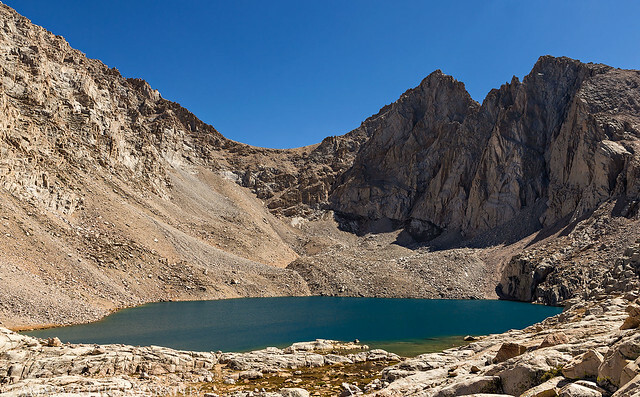 As we neared Trail Camp, we got a glimpse of Consultation Lake and Mount McAdie (13,799 feet) from the trail. We ended up making it up to Trail Camp in the late afternoon. We setup camp, filtered some water from the nearby tarn and had an early dinner. 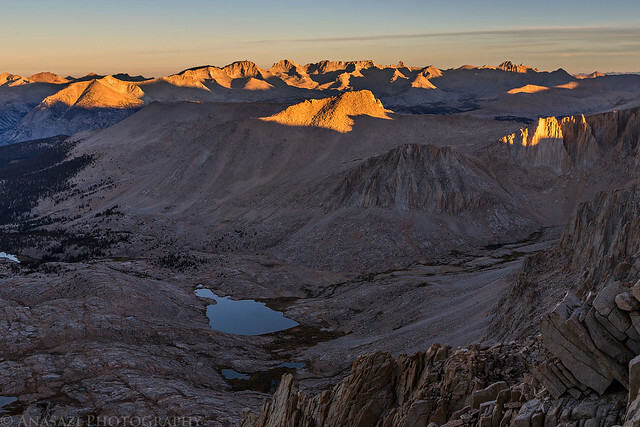 After dinner I went for a short hike towards Consultation Lake and watched the sun drop down below the ridge above. My tent at Trail Camp below Wotans Throne (12,746 feet) after the sun disappeared behind the ridge. 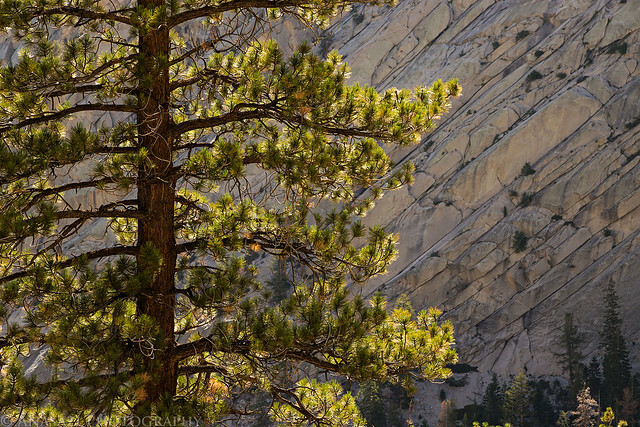 There was some interesting reflected light on the granite around. I was planning on a very early start the following morning so we tried to get to bed early. Unfortunately, every time that Geoff was about to fall asleep he began not to feel very well. This was actually his first time at this elevation and he felt that he was having some mild symptoms of altitude sickness. 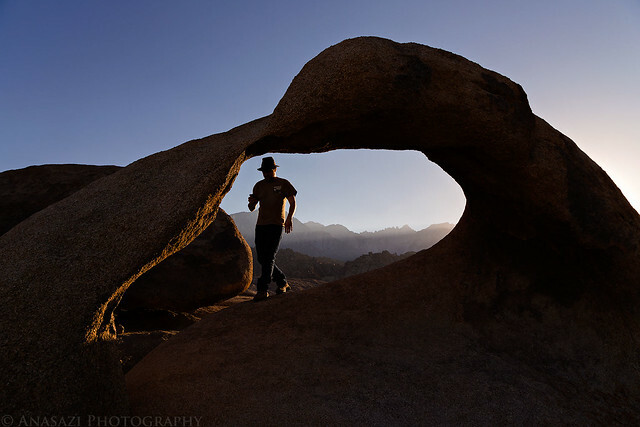 Shortly before sunset he decided it would probably be best if he packed up camp and went back down to the trailhead. He was OK when he was moving around and doing things, but he started to feel the symptoms when he tried to relax or sleep. 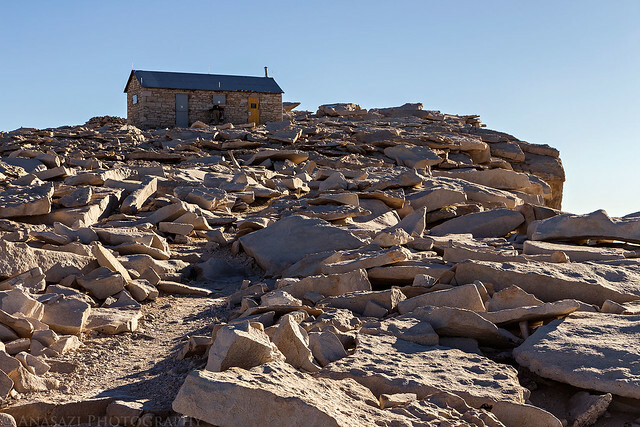 His hike to the summit would have to wait for another day and I would be hiking alone the following day. 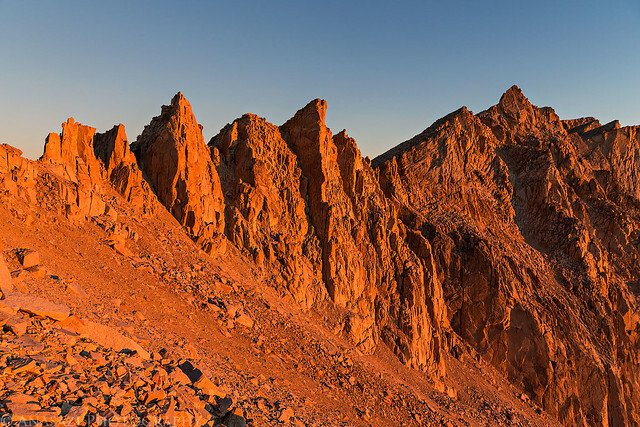 On Monday morning I woke up at 3:30am, which is the time I typically do when hiking 14ers in Colorado, and left camp shortly before 4:00am to start climbing the 99 Switchbacks in the dark. 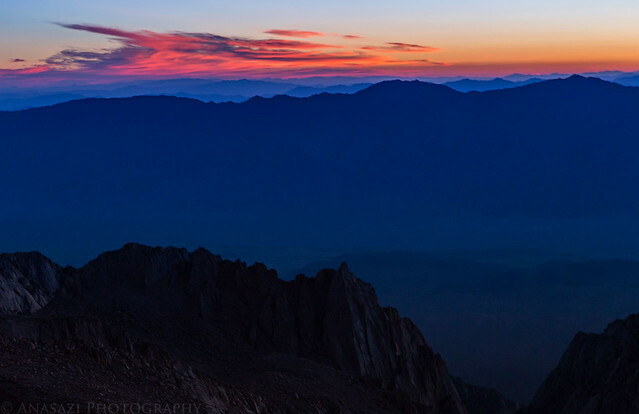 I was planning to catch the sunrise from Trail Crest and hoped that I would have enough time to make it. I ended up climbing the 99 Switchbacks much quicker than I thought I would, and made it to the pass by 5:15am. I still had an hour until the actual sunrise! I found a place to sit that was kind of sheltered from the cold wind and waited for the sun to come up before crossing over to the west side of the ridge. It was a pretty cold wait, but I enjoyed watching the bright stars above during the New Moon. Since I didn’t have a tripod with me, I had to wait until there was enough light to get some decent photos. 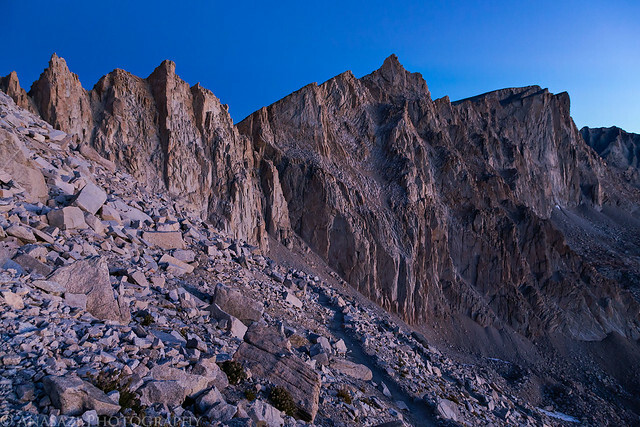 This shot was taken near where I was waiting for the sunrise when there was enough dawn light available for a shot of the ridge above. 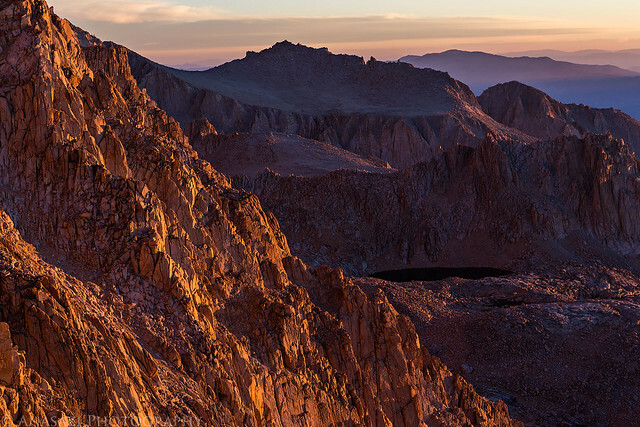 Looking east across the Owens Valley towards the Inyo Mountains. I liked the magenta clouds over the mountains. 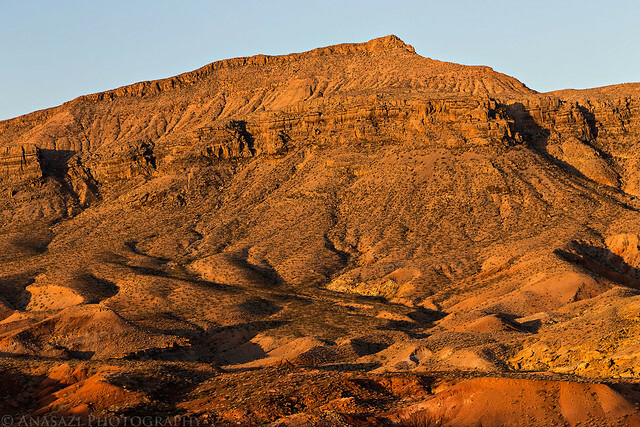 I’m glad I waited on the east side of the Trail Crest for sunrise, because when the sun did come up the colors on the ridge were amazing! 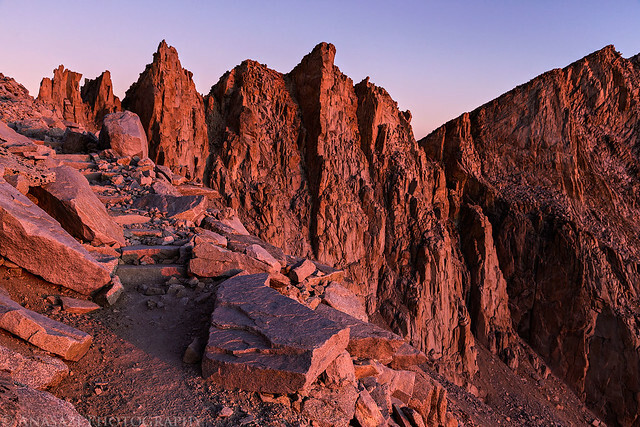 First the spires in front of me turned bright red from the alpenglow. 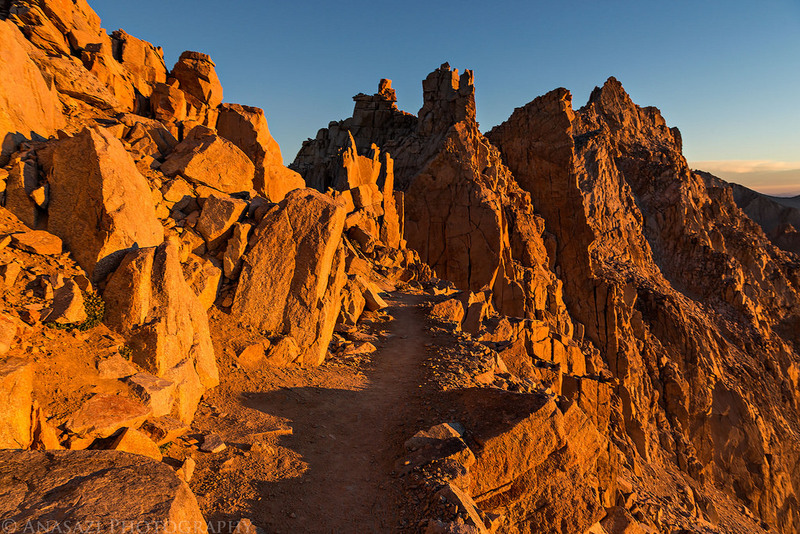 Then the direct sunlight struck the ridge and turned it a bright orange. It was a sight to see! Mount Muir (14,012 feet) is the pointy peak on the right. 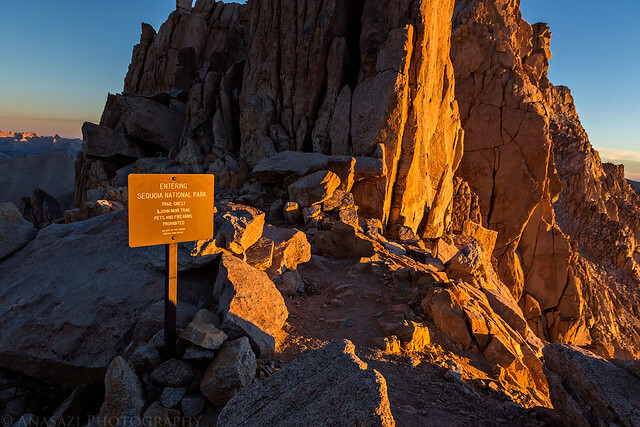 When the sun was up I finally finished the hike to the Trail Crest. 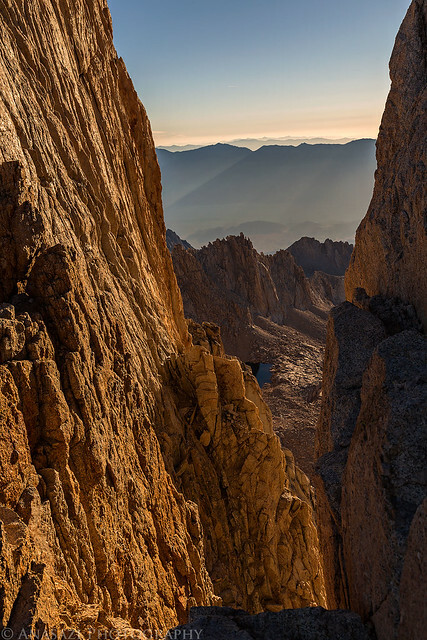 An amazing light show below looking towards Pinnacle Ridge. 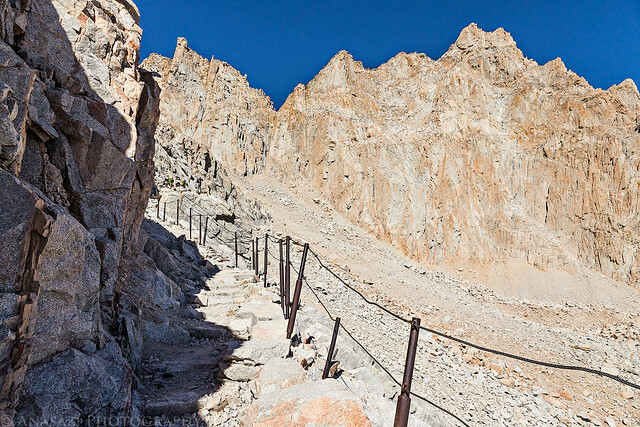 Crossing the Trail Crest to the west side of the ridge and entering Sequoia National Park. It was much colder and windier on this side and would remain that way until I crossed back over to the east on my way down. 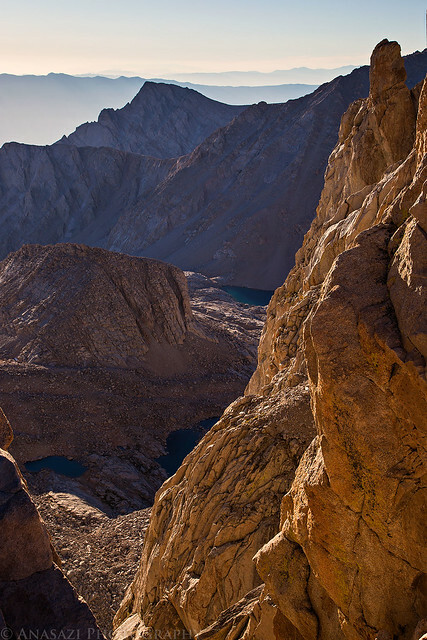 My very first view into Sequoia National Park with Mount Hitchcock (13,184 feet) and the Hitchcock Lakes below. 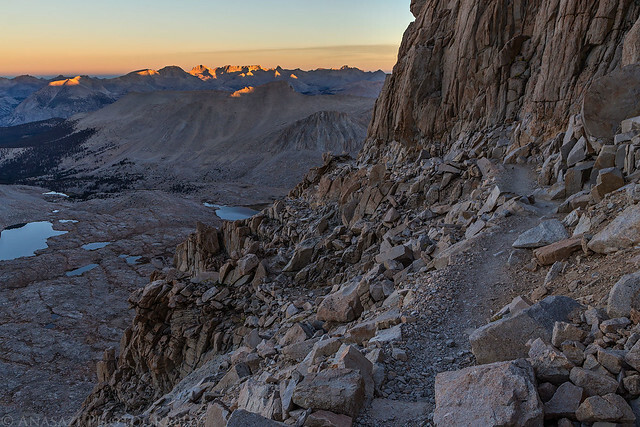 Following the trail along the ledge on the west side of the ridge as distant peaks are lit up by the sun. 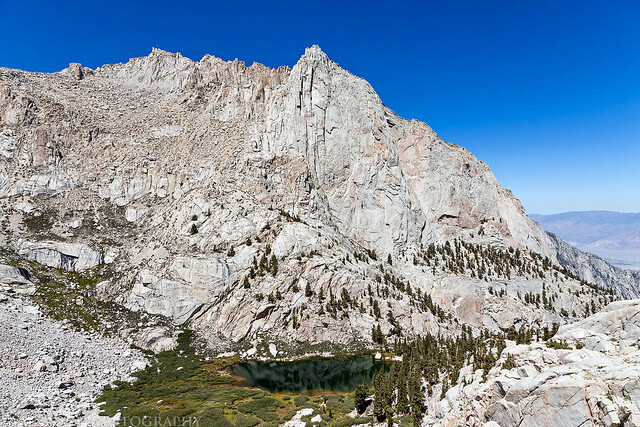 The descriptively named Guitar Lake below. 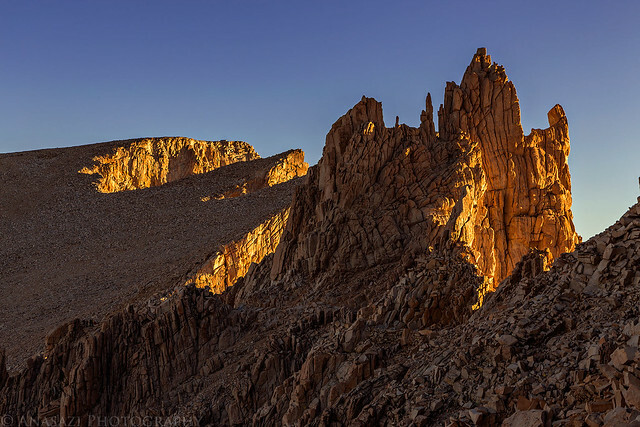 The trail followed the backside of the ridge in the shade and passed next to a few of the openings known as the Windows which were highlighted with sunlight. 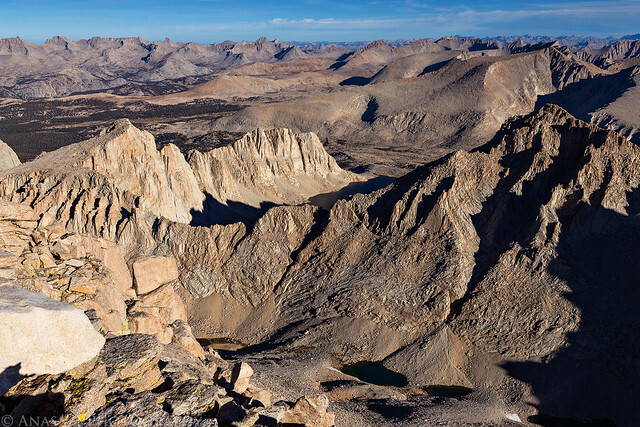 The summit of Mount Whitney is the high point in the upper left corner of the photo. View through the Windows as I passed by. The last section of the trail to the summit. I made it to the summit around 7:30am which isn’t too bad considering I waited an hour for the sun to come up. I finally made it! 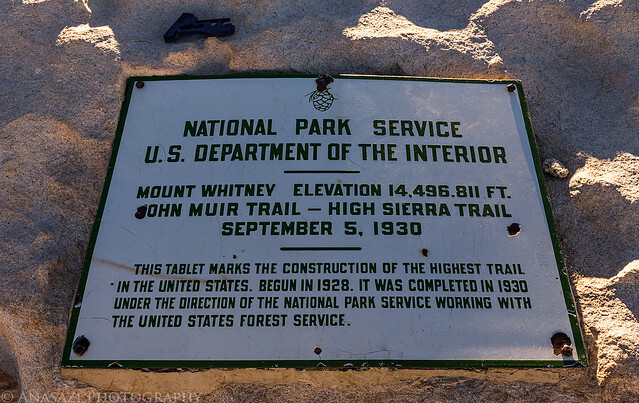 The elevation on the sign is a bit outdated at this time. 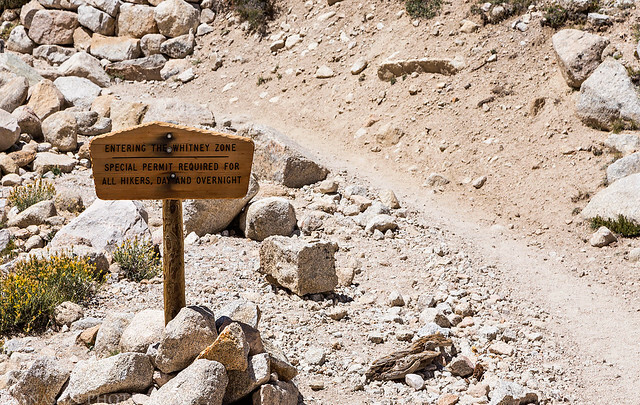 According to the permits I received, the elevation is 14,508 feet, however USGS maps and plenty of other sources list the elevation as 14,505 feet. I’ll stick to what the permit said. It was very windy and cold up there. I had to get a photo of the benchmark on top. 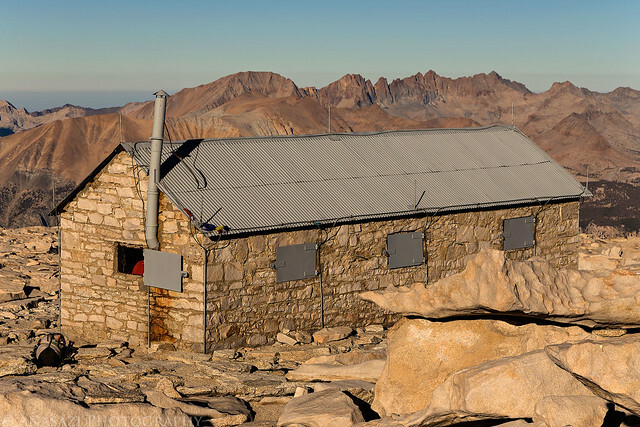 The Mount Whitney Summit Shelter was built in 1909 to house scientists who used the summit to study high-altitude phenomena in the time before sustained high-altitude flight was possible. Looking down on Mount Russell (14,088 feet) from the summit. View from the summit. I ended up starting my hike back down around 8:00am and made it back to Trail Camp in two hours. On my way back down I got to see what the 99 Switchbacks looked like in the daylight. 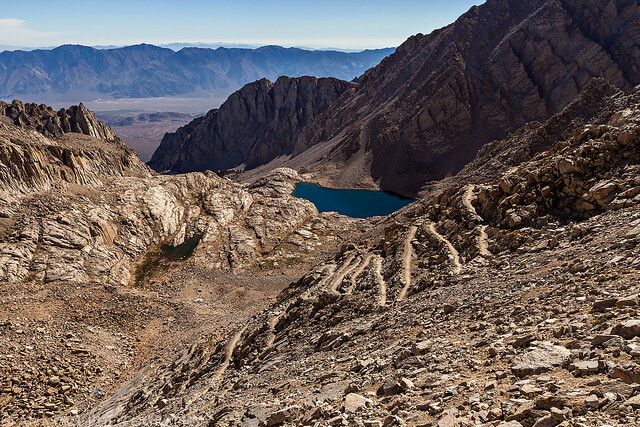 You can see a few of them above Consultation Lake in this photo. I had come up through The Cables section in the dark. I guess this section of the trail holds snow longer than the rest, so the cables were installed to help make it a little safer to cross. 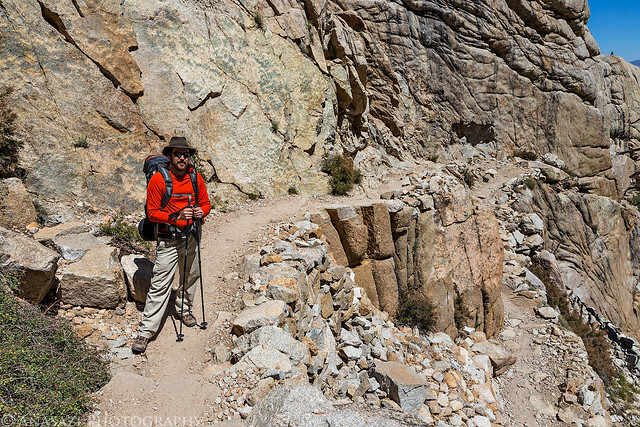 After packing up camp back into my pack, I took a little break before starting back down to the trailhead at 11:00am. 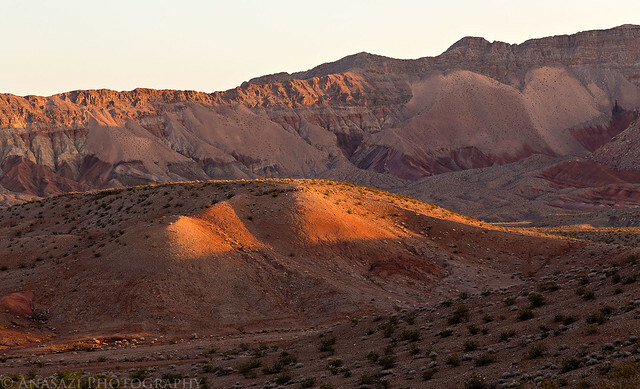 By the time I reached Furnace Creek in Death Valley I was starting to get pretty tired and knew I would have to find somewhere to camp soon. It was close to 110 degrees and very windy, so finding a decent campsite was going to be tough. 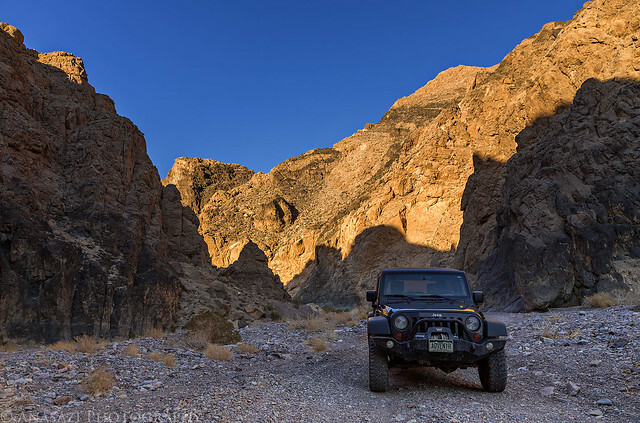 I originally drove up into Echo Canyon thinking I would get high enough for cooler temperatures and might be able to find a place to block the wind, but I was wrong. The canyon was funneling the wind and making it worse, plus I only managed to climb around 1,000 feet, so the temperature was still around 100 degrees. I would not be able to sleep here for the night. 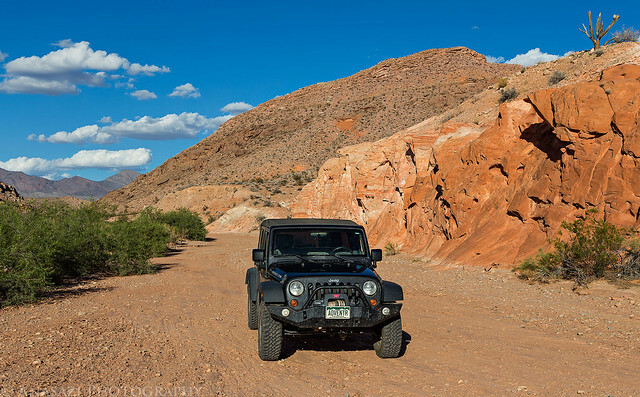 My Jeep in Echo Canyon while searching for a place to camp. 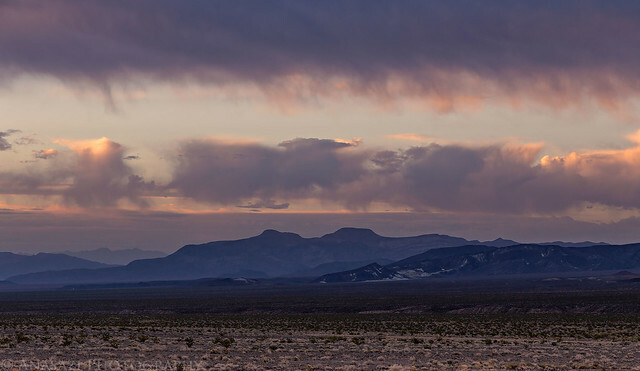 I ended up driving outside of Death Valley and a few more thousand feet up in elevation to a place I had camped last year in the Amargosa Desert under the Funeral Mountains when I visited the park in the winter. 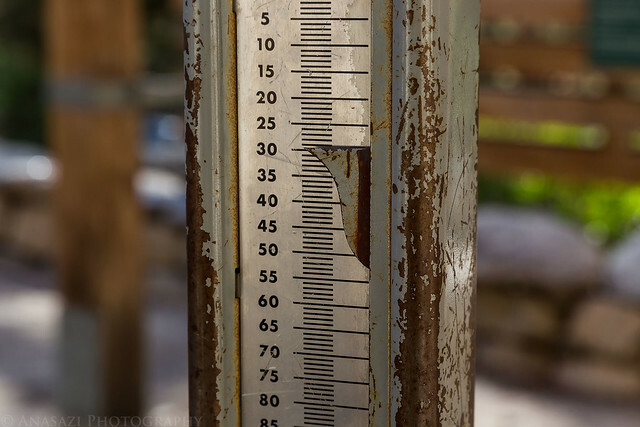 The temperature was more reasonable here and the wind wasn’t as bad. I quickly setup camp and went to sleep. The temperature dropped enough during the night that I even needed to use my sleeping bag. 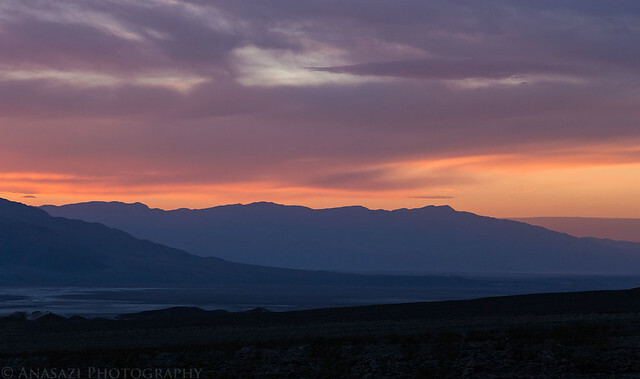 Beautiful colors of sunset over Death Valley as I left Echo Canyon. Leaving the park under the magenta sky. I didn’t set an alarm for Tuesday morning and was planning on sleeping in, but I woke up well-rested shortly before sunrise anyway. I packed up camp and was on the road back home before the sun came up for the day. 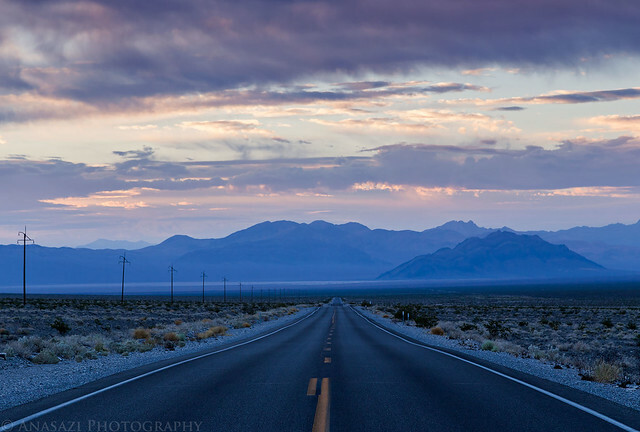 I got to watch the sky change colors as I drove along the lonely highway through the Amargosa Desert towards Nevada. The rest of the drive home was long and uneventful, which I guess is good. I stopped in St. George for an early lunch and made it home around 4:00pm. There was a nice lightning show when I drove across the San Rafael Swell which kept me entertained for a while. All in all it was a pretty good trip and everything went as planned. 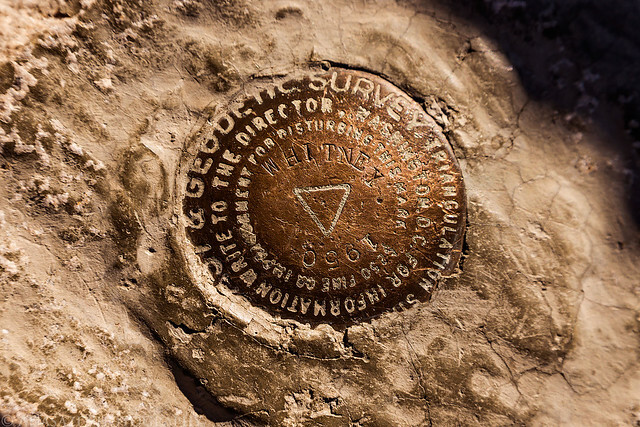 I’m glad to be able to say that I have now climbed the highest peak in the contiguous United States and look forward to continue climbing more mountains in my home state of Colorado. Of course, now that I’ve spent a little time in the Sierra Nevada, I’m sure I will be compelled to return for other trips in the future! Great post, Randy! 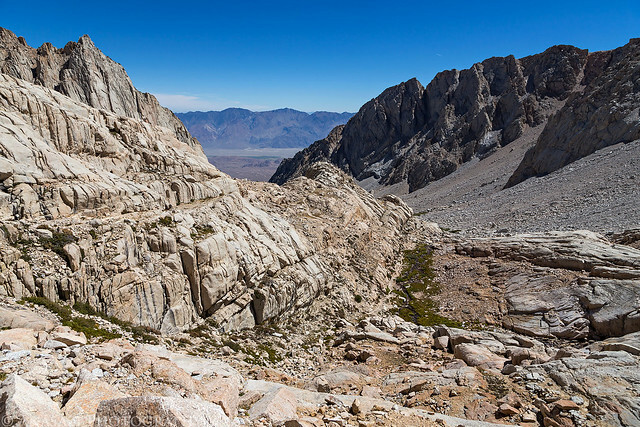 I climbed Whitney twice back in the 90’s and both times as a day hike. 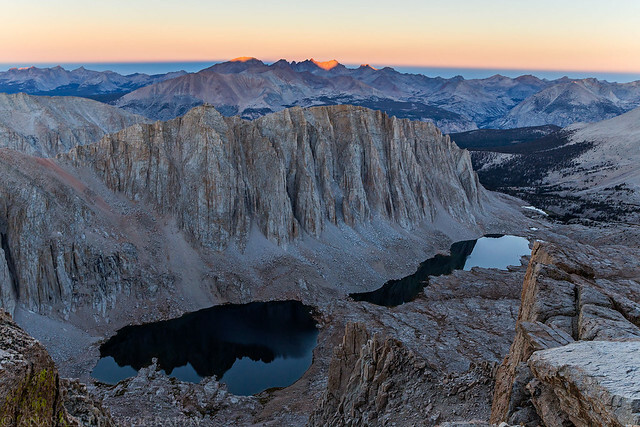 Now that I’m older and not as fit as I used to be I’d opt to do it as a backpacking trip. I don’t remember the cable section and am wondering if it’s new-ish? At any rate, fantastic trip report and photos! I don’t believe the cables are new, but I’m not entirely sure? They are in the middle of the 99 Switchbacks section. 13 miles with 4,000′ of gain (then loss) for me on Sunday, not bad for zero training but bummed I missed the summit. Next year I’ll do it! 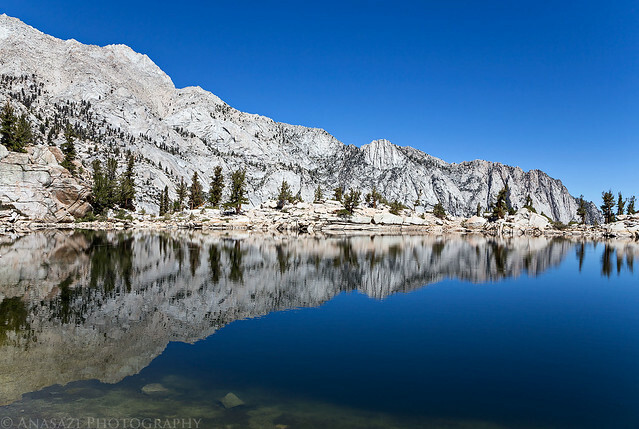 I’ll see you again in the sierras.